To find out more about exhibiting and what's included in the exhibition package, go to our Why exhibit? page. The Children's Sleep Charity offers sleep support to families of all children over the age of 12 months across England and Wales. Practitioners have a specialism in supporting children and young people with SEND. The Charity also offer a range of training packages to professionals, services and settings. 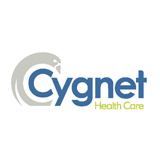 Cygnet Health Care was established in 1988. Since then we have developed a wide range of services for individuals with mental health needs and learning disabilities within the UK. We offer low secure, emergency, highly specialised and residential services for young people and adults with autism, learning disabilities and who may present with behaviours that challenge across 21 different services. JKP is the leading publisher in autism and related conditions, publishing authoritative and practical books for professionals, parents, children, and anyone whose life is touched by autism. Our books cover a range of topics including communication, relationships and social skills, teaching and assessment, parenting strategies and overcoming depression and anxiety. 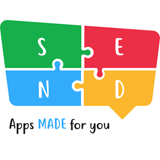 My SEND App is a bespoke app building platform. Add your own social stories, visual timetables, PECs galleries, step-by-step instruction, reward charts and custom submission pages, ideal for tracking mood. Use your own photos, video, audio, and PDF files and add help features via web links such as weather, maps or live transportation. 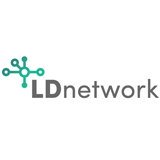 LD Network’s autism support service provides structured, skilled, practical and emotional support to people with autism to live a rich and fulfilling life in their community. Working with each person, their loved ones and their network of support, support is tailored to meet their individual needs, requirements and goals. Options Autism, part of Outcomes First Group, provide care and education to children, young people and adults with autism, complex needs and learning disabilities. We offer a pathway of services, with specialist teams of highly trained staff, including education, care and therapeutic teams. Integrex is at the forefront of special needs technology design and provision in the UK. Our cutting edge systems include interactive floors, Immersive rooms and Interactive touchscreens, ideal for special needs environments particularly sought after within the educational special needs sector to stimulate children’s responses, cognitive understanding and recognition abilities. We are a specialist provider of support for over 1,000 people with Mental Health needs, Autism, Learning Disabilities and Acquired Brain Injuries. For over 35 years, our priority has been to enable people to live fun, fulfilled lives, across our therapeutic, residential and supported living services throughout England and Wales. Hogrefe Ltd is the UK arm of the Hogrefe Group, Europe’s leading publisher of clinical psychometric assessments. We provide professionals with a wide range of tests and training (including ADOS-2, ADI-R, SCQ and SRS-2) to evaluate communication skills and social functioning in children and adults who may have a form of ASD. Yetitablet is a Finnish start-up developing giant Android tablets (27-98”). We produce the most user-friendly and versatile giant tablet due to our high performance hardware, open Android OS, and highly customizable software for different market segments. SEND Teaching School is a partnership between West Hill and Linden Bridge Special Schools. 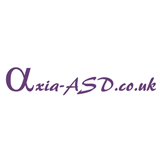 We provide special educational needs, advice, support and training for Early Years Providers, Schools, Colleges & Further Education Providers, Local Authorities, Multi Academy Trusts, families, communities, organisations and businesses throughout London & the South East. Design and build Educational buildings. TG Escapes manages planning through to final decoration. We create ‘Biophilic’ designs for the Education sector, cost effective, built to last decades, low maintenance and energy efficient. Biophilic classrooms provide educational environments with life enhancing effects of the natural world, an ideal environment for Autistic children. The Autism Education Trust (AET) offers face-to-face autism training programmes and practical online resources for practitioners working in early years, schools and post-16 settings. The AET training programme is delivered by local trainers with experience in the field of autism education and understanding of the local context. For more information and free resources visit www.autismeducationtrust.org.uk. Since 1987, the Trust has developed its unique brand of expertise working with young people with complex behaviour, and learning difficulties and disabilities, including autistic spectrum conditions, using a craft and land based curriculum. Our provisions offer both residential and day placements and admissions are accepted all year round. 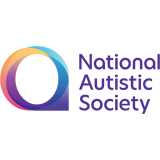 The States of Guernsey is looking for a team to join an exciting new purpose-built autism facility on the Island, which will assist autistic people to live and thrive in their own homes. If you are passionate about enhancing the lives of people living with autism, come and chat to us and find out more about how Guernsey could work for you. Students attending Rowden House School may present with complex and severe learning difficulties with co-occurring diagnosis which include: Autism, Cerebral Palsy, Angelman Syndrome, challenging behaviour, mental health needs, OCD, communication difficulties, physical and sensory needs. During the first 12 weeks a detailed assessment process takes place with input from the school and residential teams- alongside the Occupational Therapist, Speech and Language Therapist, Clinical Psychologist and Clinical Psychiatrist to ensure the programmes developed for the young people accurately reflect their needs.